DESCRIPTION: Nourishes and revives; daily use moisturiser! I am 100% free of petrochemicals, phathalates, toxic ingredients, parabens, artificial fragrance and colour. Enriched with SPF 15, I protect, moisturise and rejuvenate your skin. The revitalising extracts of almond fruit and lotus leaf seal in the moisture imparting instant relief to dry and delicate skin. The combination of wheat germ and jojoba oils together with mango seed butter effectively repair and soothe dry and damaged skin. My potent blend of patchouli, geranium and rose essential oils revive the skin leaving it with a lustrous and healthy texture. 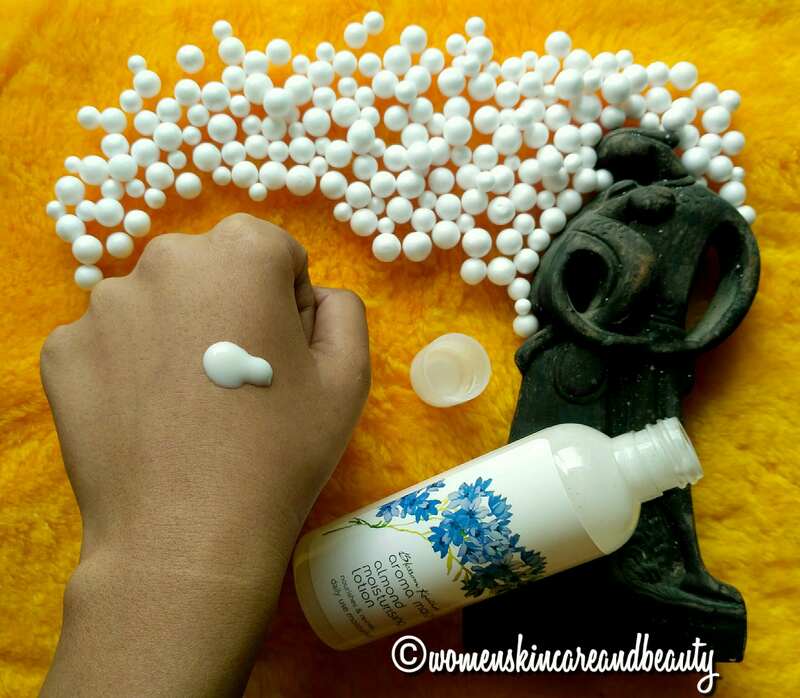 HOW TO USE: Gently massage the moisturiser onto your skin. For best results, use daily after cleansing, toning and oiling the skin, morning and night or whenever your skin feels the need for some extra care. CONTAINS: Aqua, Simmondsia Chinensis Oil, Beeswax, Aloe Barbadensis Juice, Pelargonium Graveolens Essential Oil, Mangifera Indica Seed Butter, Pogostemon Cablin Essential Oil, Triticum Vulgare Vulgare Germ Oil, Rosa Damascena Essential Oil, Prunus Amygdalus Dulcis Fruit Extract, Nelumbo Nucifera Leaf Extract, Hydrolyzed Hyaluronic Acid, Food Grade Colour. COST: Rs. 190 for 100ml ; Rs. 320 For 220ml. 2. Sturdy packaging; doesn’t leak or break under pressure! 2. Doesn’t come with a pump dispenser or a flip cap which makes the application messy and leads to product wastage quite often! Hi, my skin type is normal to dry. Can I used it over the years.? Hi, my skin type is normal to dry. Can I used it over the years. 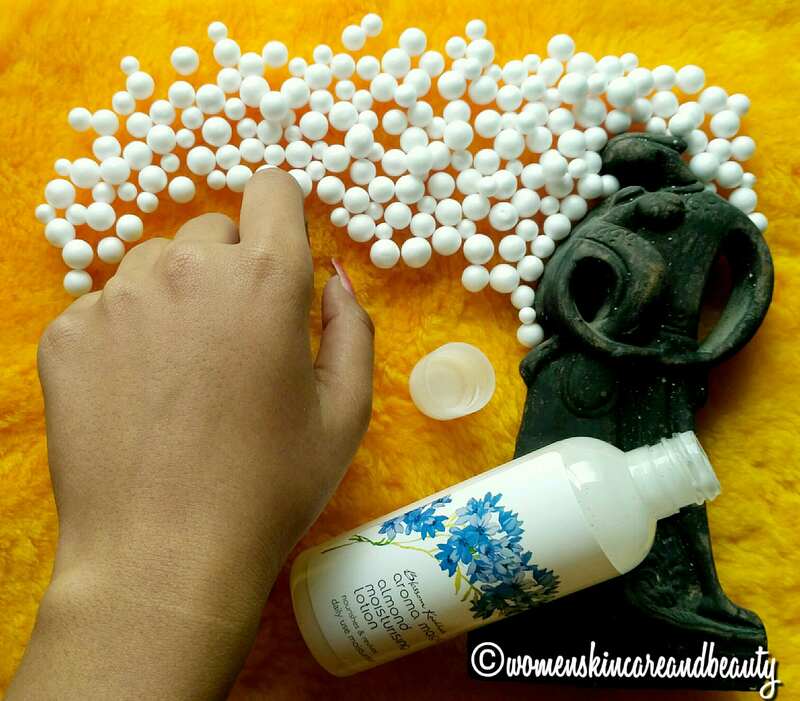 Weel as per your review then I can go for this cream in Summers while for winters I can switch to more buttery creams. Thanks for simplifying this. I hope it doesn’t dries my skin. I have a combination skin and very prone to acne. Will do a patch test first. It is dry and stretchy here in Delhi, so I was looking for something that will give me moisturization without greasiness. Will try this. Aroma magic has some amazing products.. I have tried this particular products.. I can feel the “gap” your are talking about. I undergo the same. Will try this lotion for sure. good review. I generally dont like (or find helpful) the runny variety, but as you rightly pointed out for those transition months it would be the perfect solution! and thank you so much for sharing about the ‘weird’ skin, i have similar issues and thought maybe its me or something wrong I am doing with my skin care!!! Aroma Magic is just an amazing brand and I love all the product categories that I have used so far. This moisturising lotion seems effective .. I like the detailed review you have given.. will try this out.. Happy that it is an organic product and has a subtle fragrance. Shall try for sure.. I would like to try this out. Aroma products are good. I liked to see your honest and detailed review. I would love to try this moisturising lotion. Nice product and review, will surely try this. Moisturizer is must for skin. 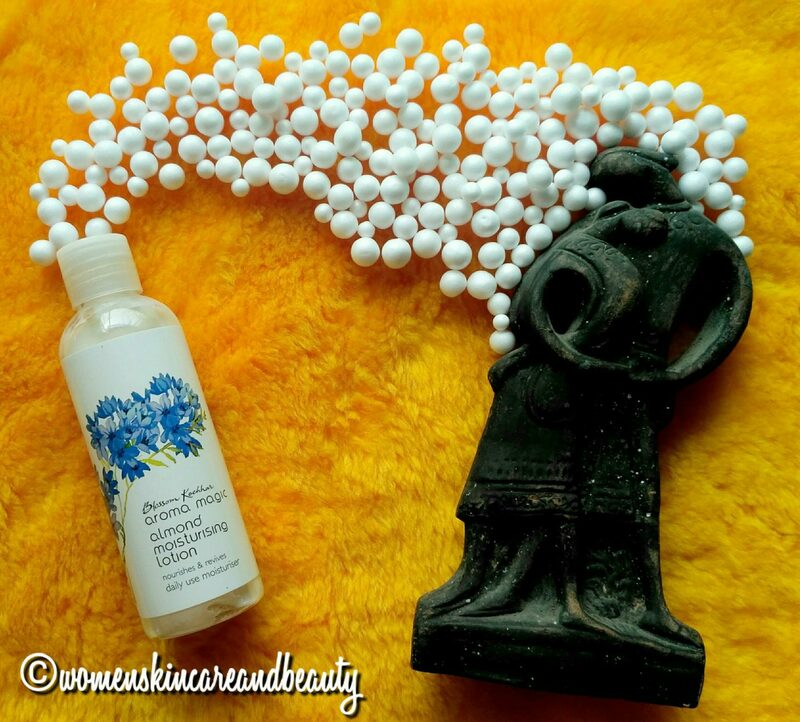 Thanks for sharing review of Aroma magic almond moiturising lotion. Plus its budget friendly too.. Hey i have oily skin so will this suits me? This looks like a great moisrurizng lotion to our skin. I will definitely give this a try. Where did you buy it? 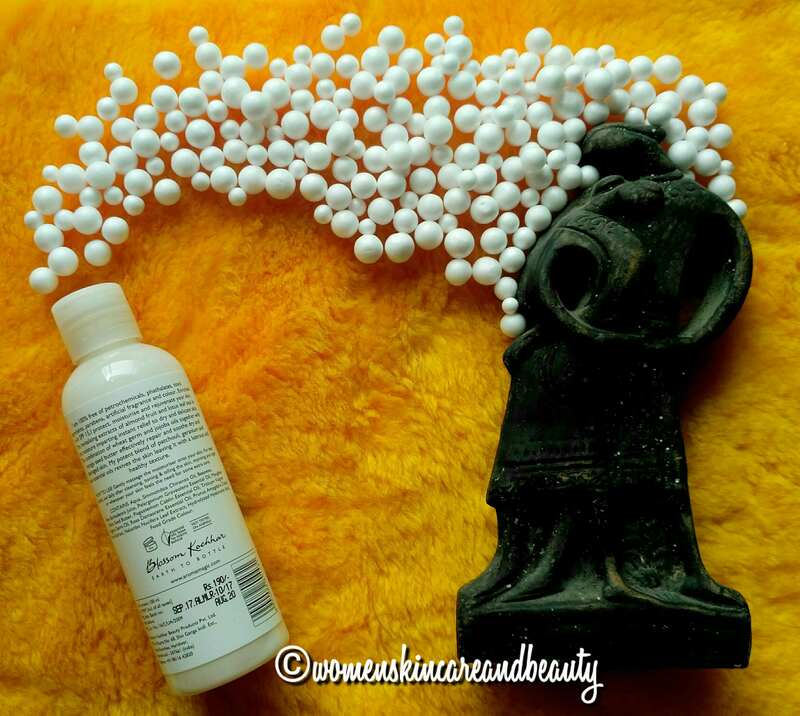 I bought it from Nykaa! But you can get it from almost all online and some offline stores!